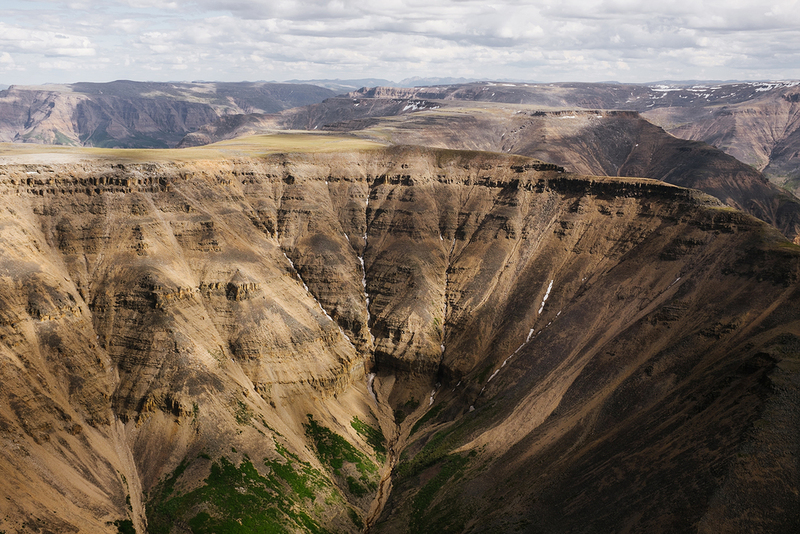 Your bushpilot Urs has been flying guests into the Nahanni for over 38 years. His well maintained fleet of modern turbine powered floatplanes seat 6 and 9 passengers. Departing from the fully paved historic Alaska Highway, our convenient three day Nahanni package offers comfortable hotel or RV accommodation at the Northern Rockies Lodge on Muncho lake. This package allows you to experience the Nahanni on a day trip, with landing at Virginia falls. Activities in the Muncho lake region include; hiking, canoeing, wildlife viewing, fishing and soaking in the nearby world famous Liard river hotsprings. Our northbound flight follows the famous Alaska Highway over BC’s remote Northern Rocky Mountains before crossing the mighty Liard River. Witness the vastness of the southeastern Yukon and the rugged Mackenzie Mountains as we enter Canada’s Northwest Territories. We follow the Caribou Range, cross the Flat River near Albert Faille’s trap line cabin before reaching the south Nahanni River and Virginia falls. Touring in our clean, modern floatplanes allows you unprecedented views of the wild countryside below. We enjoy a leisurely stroll (30 min.) along the well maintained boardwalk to the upper viewpoint. Enjoy spectacular views and hear the thundering roar of Canada's tallest waterfall. Frequently a Parks Canada interpreter is on hand to provide information on the Nahanni, the native history, early explorers, and plant life. The roaring cataract is an unbeatable backdrop as you enjoy a picnic lunch (provided by us) while sitting on one of the park benches savoring the sights of Virginia Falls. An option is given to follow a more challenging portage trail and descend to the bottom of Virginia Falls.